The all new redemption kiosk from Semnox Solutions is the first of its kind in the industry and offers a fast and hassle-free gift redemption process. Customers just need to scan their cards or ticket receipts to see the gifts available based on their available ticket limits. They can then choose the gifts they want and submit the redemption order request. The kiosk then confirms the order and issues two receipts—one for the customer and one for the redemption counter. Once the customer’s number is called via an announcement, display board or other similar means, they can go over to the redemption counter and claim their gift. With this redemption kiosk, customers can either consolidate all tickets into a single new ticket receipt or load the consolidated tickets onto a fresh card. “Our innovative redemption kiosks will significantly reduce queues at the redemption counters. This will help reduce overhead costs while boosting customer satisfaction. Also, this kiosk comes with security features which ensure that tickets that have been consolidated or redeemed once cannot be reused,” says Kiran Karanki, director, Semnox. This kiosk also provides for segregation of redemption orders to enable quick identification of orders that are pending, those in progress, and the ones delivered. This latest offering from Semnox underscores its commitment to innovation while ensuring memorable customer experiences. 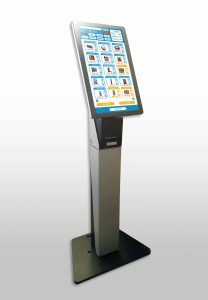 The next version of this solution scheduled to launch in November will provide redemption staff the ability to manage the redemption orders from the kiosk through a touch interface similar to the kitchen display system. This will further optimize the redemption operations.